The third quarter of 2014 saw some interesting leverage of social media in various sectors in India. Brands ranging from FMCG, television, food & beverages to consumer appliances and banking & insurance have experimented with the medium. Moving away from conventions, brands have tried a more contemporary approach in fan engagement. Creative storytelling, content co-creation, quirky videos and standup comedians have made their entry too. While campaigns in Q1 2014 set the pace with many firsts in the social media space, campaigns in Q2 2014 took it forward with storytelling and co-creation with the community being the focus, followed by definitive hashtags, interactivity and personalized gratifications in real time. Philips wanted to create a market for the AirFryer in India that despite being launched in 2012 was low on awareness and usage knowledge. To highlight that it required 80% less oil compared to normal cooking, and that one can cook their favourite Indian fried foods, the brand roped in Sanjay Thumma, a noted YouTube food influencer and started a branded cookery show. Sanjay cooked a wide variety of popular Indian dishes using the AirFryer, thus demonstrating the use of the product. Read more about the campaign here. 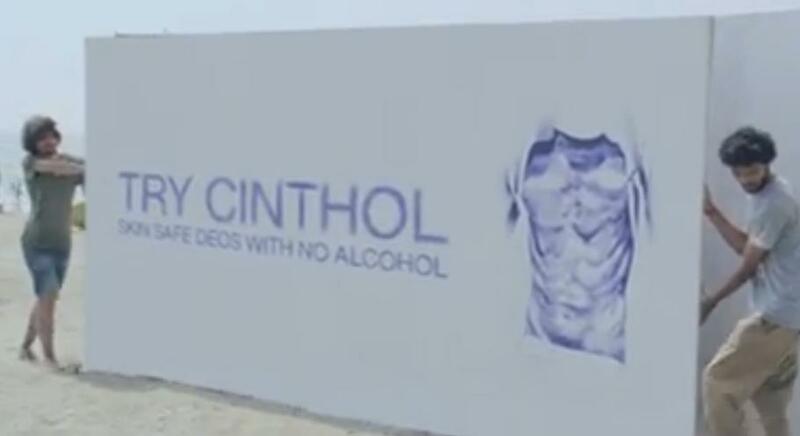 For the promotions of Godrej Cinthol’s alcohol-free deodorants, the brand launched a campaign that actually validated its deos as alcohol-free and thus skin safe, by collaborating with ball pen artists. A commercial film demonstrated how artworks made with ball pen ink dissolved when sprayed with other deos, but stayed put when sprayed with Cinthol deo. The same was also reflected in its social media buzz when user tweets talking about their favourite deo were destroyed when recreated with ball pen ink and sprayed with that deo. Read more about the campaign here. For the promotions of Hindi movie ‘Dombivli Return’, a socio-psychological thriller of a common man, the team made creative use of social media storytelling to engage audiences with the central character. A Facebook and Twitter page was created for the main protagonist of the movie, Anant Velankar who shared the ordeals of the common man and discussed various social issues in the news. The character also took over a rotational curation account on Twitter to build buzz aroud problems faced by the common man of the city. Read more about the campaign here. For the promotions of Cadbury Silk’s ‘Treat for Two’ offer that availed two free cups of coffee at any Café Coffee Day outlet nationwide, the brand created an interactive campaign called #SilkUp. Fans could tune in to a live webcast featuring celebrity protagonists chatting up over Silk and free coffees, and tweet their topics of discussion in real time. Fans could also tweet a quirky reason to take a friend out for coffee and the funny four would then create a personalized video invite, in almost real-time, for the person tagged on the post. Read more about the campaign here. HDFC Life, one of India’s leading private life insurance companies, hosted the first ever stand-up comedy on Twitter themed #Little2Adjust, in collaboration with professional stand-up comedians. The idea was to promote its ‘Click2Protect Plus’ plan, the ideal life insurance plan for the youth. People could send in their queries on relationships using the campaign hashtag, while the comedians answered them via funny videos and best queries were gratified. Read more about the campaign here. Cadbury Celebrations, the gifting range with an assortment of chocolates from Cadbury, launched #MeethiMemories in celebration of Raksha Bandhan. The chocolate brand invited brothers to share “Meethi Memories’ or ‘sweet memories’ with their sister for a chance to win a special customized illustration for her Rakhi gift. Fans could share their sweet memories on a Facebook app which displayed the customized illustrations and the tweets made with #MeethiMemories. Read more about the campaign here. Nestle India wanted to revamp its coffee brand, Nescafe to make it more contemporary with a fresh theme, “It all starts with a Nescafe’. Instead of roping in a celebrity, as was customary earlier, the brand featured the story of a stammering standup comedian exclusively for fans. The film was well received on social media and extended onto Twitter where users were invited to share their stories and be a part of Nescafe Journeys that celebrated stories of resolve. Read more about the campaign here. For the India launch of National Geographic Channel’s much-awaited show ‘Cesar to the Rescue’, the brand indulged in an exciting social media strategy that focused on the dogs rather than their owners. A #PoseWithYourDog contest on Facebook and Twitter required dog owners to upload their dogfies, i.e. selfies with their dogs, while the rewards went to the dogs. An exclusive screening of the first episode was held at a meet-up for them as well as their human friends, along with interactive fun games. Read more about the campaign here. For the launch of the new Cadbury Silk Caramello chocolate, the brand launched a series of content pieces on social media that created curiosity into what the Silk was transforming into. The brand’s Facebook cover image, Vine videos and other visuals depicted the Silk cubes slowly transforming into fatter cubes, before revealing the new chocolate that had Silk outside and Caramello inside. An innovative banner that used face tracking technology, gave users a virtual eat experience of the new chocolate variant. Read more about the campaign here. Flying Machine, India’s iconic youth denim brand by Arvind Lifestyle, launched “ice cool” denims for its summer collection for young adults. To break free from the clutter, and position the new range as the #newcool, the brand created quirky 20 second video clips that resonated with the youth of today, instead of a predictable Facebook and Twitter content strategy. The video theme was also extended onto social media with wacky visual interpretations. Read more about the campaign here. Whisper, the sanitary napkin brand from P&G had launched ‘Touch the pickle’ campaign to bust period taboos in a country where girls on their periods aren’t allowed to touch pickle jars fearing that that will contaminate the pickle. Girls were encouraged to join the #TouchThePickle movement and help break period taboos by sharing their stories on a Facebook app. Live chats were hosted on Twitter with experts to answer questions on period taboos. Read more about the campaign here. 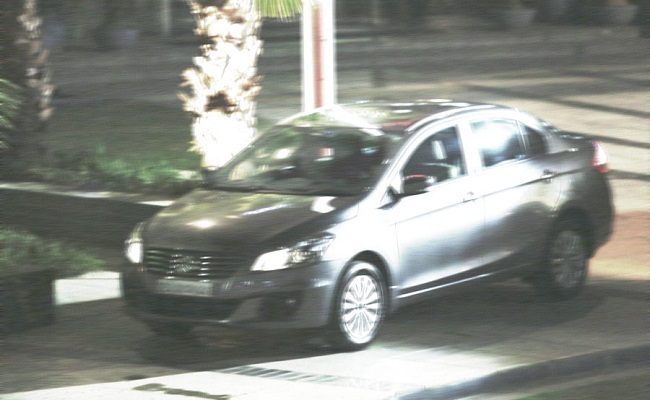 Maruti Suzuki’s promotional campaign for the Ciaz sedan ahead of its launch involved creating a mysterious story about some cool cats driving sedans in town. The buzz was created by running stories on popular news sites as well as auto news sites on a woman having fainted after spotting a cat driving a sedan. Readers were encouraged to share their findings using the hashtag #coolcatsintown. This was followed with cool cat jokes and memes on social media. Read more about the campaign here. ANDPictures, the interactive movie channel from Zee recently launched an interactive application called Dil Se which allows people to record and upload messages for their favourite celebrity. For the promotions of ‘Dil Se’, the brand created an interactive campaign in association with stand up comedians. People were invited to #WishDilSe on Twitter, while the funny duo created hilarious videos out of them in real-time. The app was promoted at the end of each of the videos. Read more about the campaign here. DBS Bank, one of Asia’s leading financial services group launched the ‘Chilli Paneer’ film to build brand awareness in India. Chilli Paneer featured Asha, an art director from Mumbai and Ken, a food blogger from Singapore who meet up by chance and bond over their common interest in food, while the bank plays an important role in their love story. The storytelling campaign was supported by a dedicated website and an active social media presence that engaged fans with contests based on each of the film’s episodes. Read more about the campaign here. For the launch of Rajhans Group-owned premium chocolate, Schmitten, the brand adopted a different approach in its communication, one that made asking for a bite of the chocolate as a crime. The chocolate was introduced through teaser videos where people were being punished for asking for a bite, before revealing the TVC, while viewers were engaged with the new chocolate and what it stood for with the help of visuals, riddles, etc. Read more about the campaign here. The above is curated from the social media campaigns reviewed at LI in the third quarter of 2014. In case we might have missed out on listing some worthy campaigns here, do share them with us in the comments. Also, don’t forget to share your favorite campaign from this list.